Well here it is! Since the release of those two earlier 7″ singles, this thing has been patiently taking it’s time to reveal itself, and now it is upon us. The official release date was just yesterday (the 22nd), so why don’t we check it out? First things first: Ian Svenonius is making quite a statement here, and he definitely doesn’t care what you have to say. Ian isn’t asking for your opinion or suggesting anything, he’s telling you just how it is. If you’re not cool with that, you might as well turn around and walk the other way, because like he says, “music’s not for everyone”, and he damn well makes that clear. His words come off more like speeches than they do lyrics, and when they are actually lyrics, it’s the typical Ian Svenonius rhyming style, done in his trademark conversational tone. You also can’t forget the traditional ‘call and response’ style vocals between Ian and the ladies, either. One song that illustrates this righteousness would be in “Not Good Enough”, which is so brutally honest you actually might feel bad if you laugh. Next things next: There’s really not a bad song on this album. Every last track brings a little something new to the table, whether it’s simply adding onto past ideas (“Why Not, “Not Good Enough”, “Detroit Music”), or just something completely fresh and creative, like “Bill For the Use of a Body”. 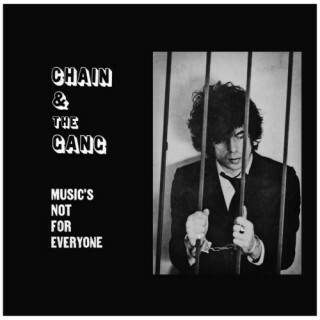 In a track like that, it’s more like an idea (or a story) than it is an actual song, as Svenonius croons with concern while the classical inspired guitars create all sorts of delightful feelings. Even the opening track, “Why Not”, with it’s groovy tropical island inflections, presents more of an idea than it does a song. Sure, it essentially is a song, but the idea comes through in Svenonius’ words, so you need to pay close attention. Then he finishes his thoughts at the very end of the album in “Why Not Pt. III”. But if you really want to talk about ideas, see the eerie and stripped down self-titled track “Music’s Not For Everyone”. We’ll let you decide on that one, but just pay attention to what Ian is saying. Then you get a two part suite for a classical rock brain-burner like “Detroit Music”, which we first heard on the (I’ve Got) Privilege 7″ from over the summer. Only they did us a huge solid by extending the song and doubling it’s length this time. All sorts of fiery guitar action covers this one from start to finish, as the band graciously instructs us on how to sound like the authentic Detroit rock band. The ecstatic vibes are almost too much to handle, you won’t know what to do with yourself – “YEAH! Then they plug somethin’ in! WOOO!”. Listen for the dude who says “I’m so confused” towards the end of the first half, it sounds like Mr. Calvin Johnson (in-between 1:50 and 1:55). It’s not clear which of these songs could be considered the single from the album, but the sticker on the front of the LP read “Includes the song ‘It’s a Hard, Hard Job (Keeping Everybody High)”, which might be an indication. Whether you believe that or not, it doesn’t matter, because many of these songs could qualify as the albums single. Most of them are just that good, like “Livin’ Rough” or “For Practical Purposes (I Love You)”. At this point we can’t tell what other people are going to think of this collection of songs, but we’re hoping for the best. So for the most part, you can’t just say this is one kind of music. It fuses together a little bit from multiple genres, including classic rock, funk, jazz, the blues, dub, and then obvious things like garage rock or alternative. Give this thing a spin and see how long it takes before you’re floored – we bet not very long. 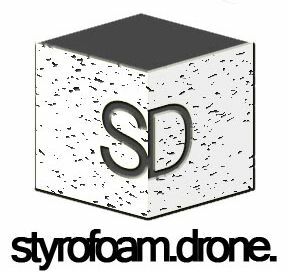 Posted on February 23, 2011 by styrofoamdronePosted in LP, Reviews, Still Spinnin'Tagged alternative, classic rock, garage rock.